Marine water filters make it safe to use the water while you are enjoying your boat. Good marine water filter systems will take all of the worries out of the drinking water safety. 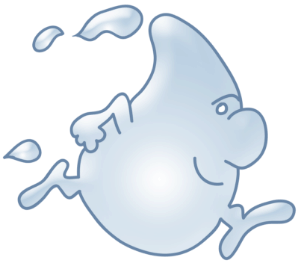 The marine water filter will take water from the lake and filter it so that it is safe to use to drink and cook. This is a great tool if you are planning an extended time spent on the lake or if you just want to be able to use the water system without worrying. Packing extra water can take up a lot of extra work and time, and the filtering system will make your life easier. If you already have a filtering system installed, you may be looking for replacement marine water filters. 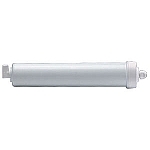 WaterFiltersFast.com offers a wide variety of marine water filters that you can order and have shipped to you. This makes finding the marine water filter that matches your current filtering system easy. You may want to order two or three so that you always have an extra on hand when it is time to change the filter. Remember to follow manufactures instructions as you replace the filter. If you have just purchased your boat, or if you are ready to replace or upgrade your current water filtering system, then WaterFiltersFast.com offers a wide variety of marine water filter systems. You should be able to find the perfect marine water filter for your needs. There are systems available for a wide variety of boats. You should be able to find one that meets both the size requirements as well as the filtering requirements for your boat. Your boat will benefit from a good water filtering system. Let WaterFiltersFast.com be the first place you look for marine water filter systems since you will receive reliable service and delivery of the items you order. It is important to have a good filter system in place to keep your water clean, so you and your family can stay healthy and avoid picking up anything from the water. Be sure to change your filters regularly so your system continues working at top performance levels.